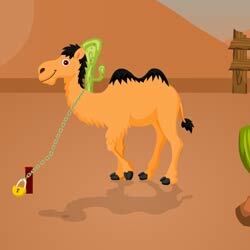 Hump escape is the new point and click escape game from ajazgames. Camel spotted chained down in dubai highway, it was the missing camel from poppycock circus two days back, try to unlock the chain by finding the clues and solve the puzzles to get the key. All the best, wish you Good luck, have fun playing new online escape games from ajazgames.